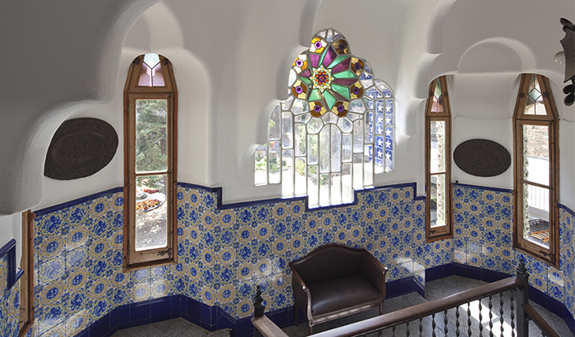 The Torre Bellesguard, one of Gaudí's less well-known Barcelona buildings, now, open to the public. 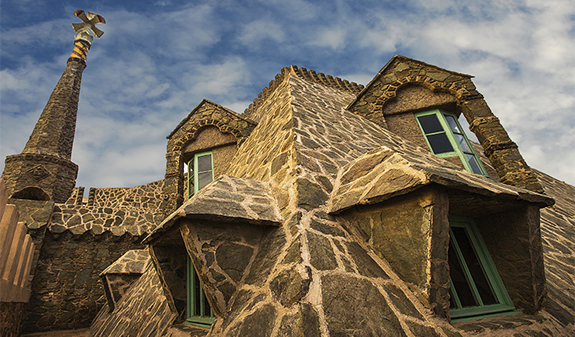 The Torre Bellesguard, which is currently owned by the Guilera family who still live in part of the house, was designed by Antoni Gaudí and built between 1900 and 1909. The building has straight lines which were seldom seen in his work and was inspired by the medieval castle where King Martin the Humane once lived, parts of which can still be seen in the gardens of the house. The history of Bellesguard is closely linked to the history of Catalonia as it dates back to the Middle ages when Martin the Humane gave the site its current name and built his home there. It was also the place where one of Catalonia's most famous bandits, Serrallonga, used to hide out after committing his crimes, and also played an important role in the historic events of 1714. 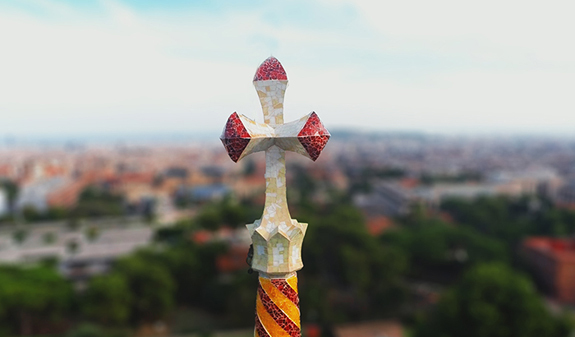 The building takes its name from its strategic position and magnificent views – in Catalan "Bellesguard" means "beautiful views" or "good viewing point". 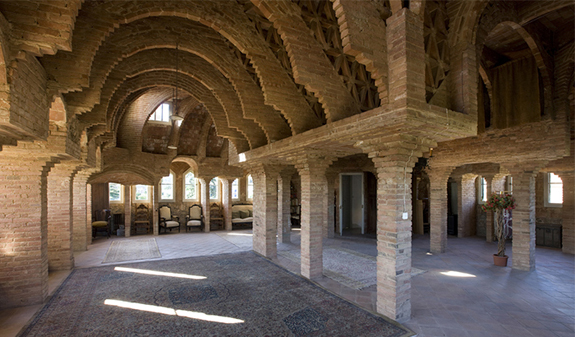 Bellesguard and the crypt of the Colonia Güell are buildings which Gaudí used as test beds for the architectural solutions he would later apply to the Sagrada Familia. 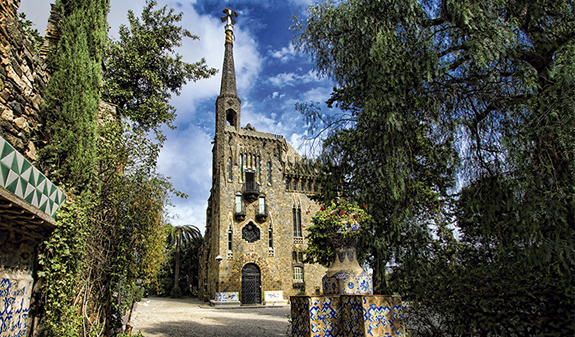 Audioguided tour: audio guide of the gardens and inside the Torre Bellesguard in English, Catalan, Spanish, French, Japanese and Russian + informative leaflet. Guided tour: guided tour of the gardens and inside the Torre Bellesguard for small groups (18 people max.) in their requested language. 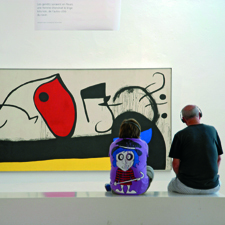 Audioguided visit times: from Tuesday to Sunday, from 10am to 3pm (last admission at 2.30pm). English: Saturday and Sunday, at 11am. Catalan: Saturday, at 1.15pm and Sunday, at 12noon. Spanish: Saturday, at 12noon and Sunday, at 1.15pm. Closed: Mondays and 1/1, 6/1, 25/12, 26/12. 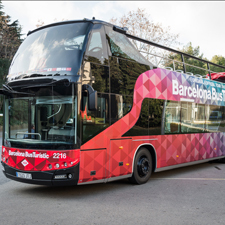 Guided tour languages: English, Spanish and Catalan. Audioguided tour languages: English, Catalan, Spanish, French, Japanese and Russian. Length of the guided tour: 1 hour. Meeting Point: Torre Bellesguard, c/Bellesguard, 16-20. 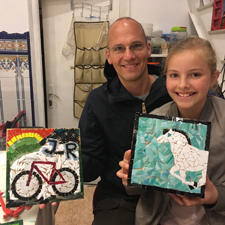 FGC: Avinguda Tibidabo. Bus: 60, 123 and 196. Reduced admission: senior citizens and childs form 8 to 18 years. The requisite accreditation must be provided. Under 8 years old: free.